Game of Thrones has rarely turned down the chance to go for the more risqué when it comes to the show. There was one particular adult moment that was never actually intended to make it into the final cut but it worked so well, it was kept in. 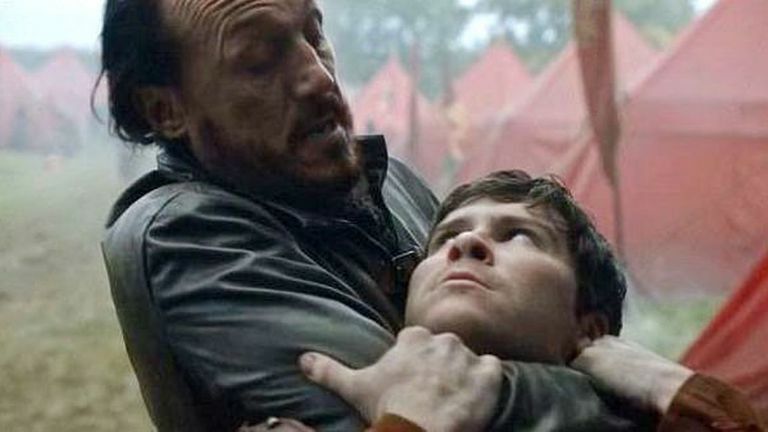 Bronn actor Jerome Flynn revealed to Digital Spy a scene in season six episode ‘No One’ between him and Podrick Payne caught his co-star off-guard. “There is one scene that makes me laugh more than anything when I watch it back, which is when I reunite with Pod. 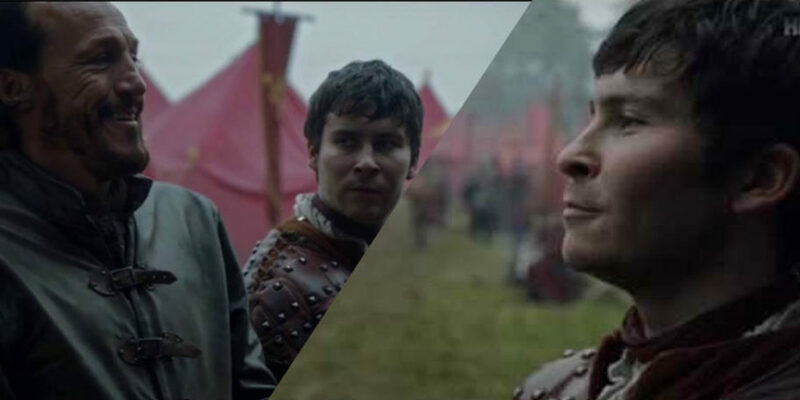 “I had this line come up: “You’re the one with the magic c*ck” because I’m trying to get Pod to tell me about whether he thinks Jamie and Brienne are at it. “I just kind of instinctively grabbed him by the crutch and squeezed quite hard and the look on his face, he was just keeping it together and that’s the one they used. “He’s my mate, I kind of knew I could get away with it – we still laugh about it every time we see each other and the fact it’s on celluloid and you can see him there, trying not to laugh and just about managing. Meanwhile the show’s creators recently shared a specially curated playlist to get fans hyped ahead of the final season. The playlist features 50 very apt song choices, such as The Pixies’ “Wave of Mutilation” or Born Ruffians’ “This Sentence Will Ruin / Save Your Life”.